Interpreting, and presenting, history is a key role of the National Park Service. 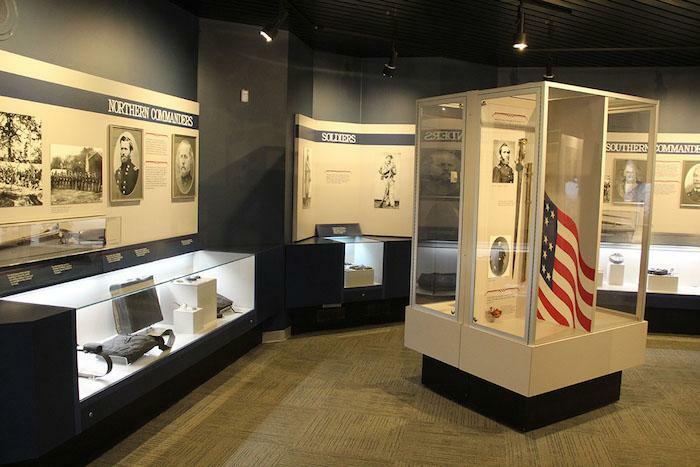 So while the prospect of designing new exhibits for the Shiloh National Military Park visitor center might sound relatively ho-hum, the opportunity to update 30-year-old exhibits describing and explaining the events that occurred at Shiloh in 1862 is enticing. After all, the battle of Shiloh in April 1862 marked the first significant battle between the North and South in the Civil War's western theater. The public is invited to attend a kickoff meeting for the major redesign of the exhibits and exhibit area on November 27 from 6 p.m. until 8 p.m. in the visitor center auditorium. In September, the National Park Service’s Harpers Ferry Design Center awarded a contract in the amount of $639,700 to Formations, Inc., of Portland, Oregon, to provide planning, design, fabrication, and installation services for the visitor center. The task is to develop exhibits that feature artifacts from the park’s collection, interactive and tactile experiences, and audiovisual presentations that provide visitors with opportunities to make meaningful connections to the park and its story. The designers will also provide recommendations for any architectural changes in the facility needed to accommodate the new elements. At this meeting, the designers and park staff will introduce the project to the public and listen to comments and ideas regarding the new exhibition. In a few months, the designers will return to present several alternative approaches to the design for consideration and public comment, as the park moves toward the selection of a final alternative. The entire project is slated to be completed by April 6, 2021.